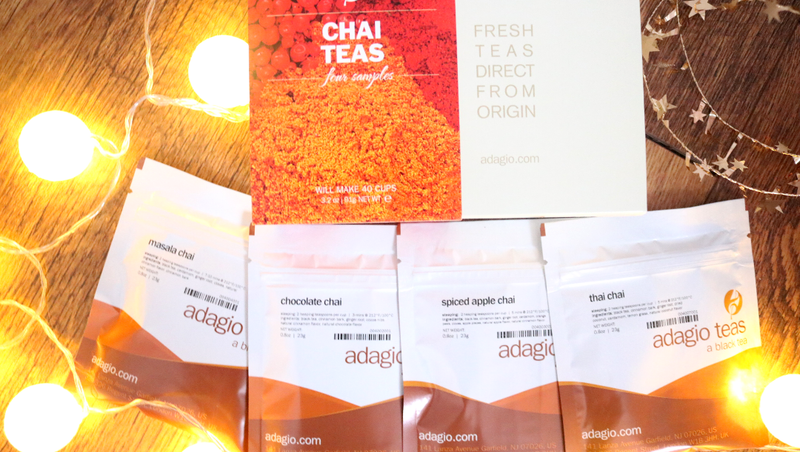 For all your tea gifting needs this year, head over to the specialists Adagio Teas, who have something for everyone! 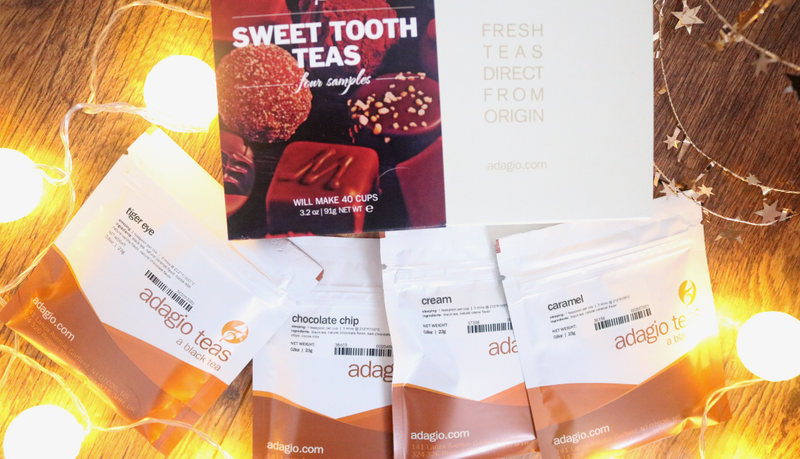 Regular readers will know that I love my tea and I've featured Adagio Teas on here many times in the past because they offer such an incredible selection of high-quality teas in a vast range of flavours. They specialise mostly in loose tea, but they do have some pyramid bags now as you'll find out below. I was thrilled to work with them again this year for this little Gift Guide selection to show you some of the presents that they have to offer - enjoy! 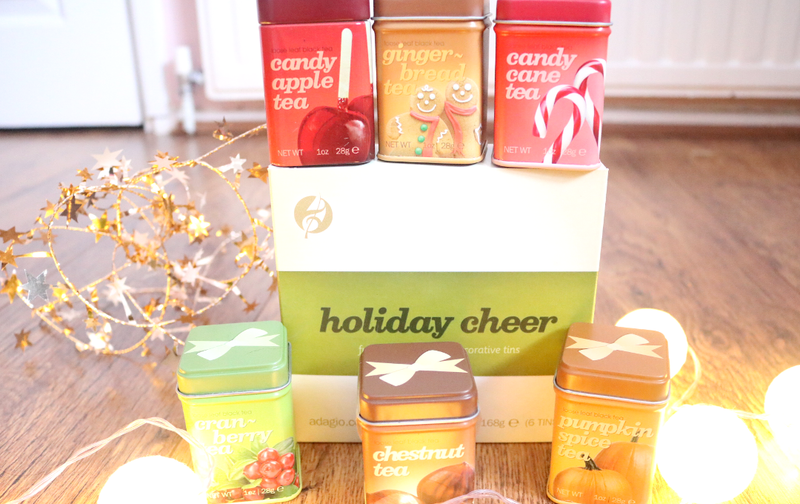 One of my favourite gift sets from Adagio are their popular Holiday Cheer Stocking Stuffers sets which contain six flavours of loose full leaf black tea in decorative tins. They are super festive and they all taste delicious! In this set you'll receive the following flavours; Gingerbread, Candy Apple, Pumpkin Spice, Cranberry, Chestnut and Candy Cane. It's hard to pick a favourite, but I'm particularly partial to the Gingerbread and Candy Cane flavours! Great to give as it is or you can split them and pop a tin into numerous stockings. If you know someone who loves sweet flavoured teas, this Sweet Tooth set is a fantastic way for them to try out four different loose leaf Ceylon black tea flavours. Comprised of four sample bags, it includes Caramel, Cream, Tiger Eye and Chocolate Chip, and there's enough in this box to make 40 cups of tea (10 of each flavour). Yum! 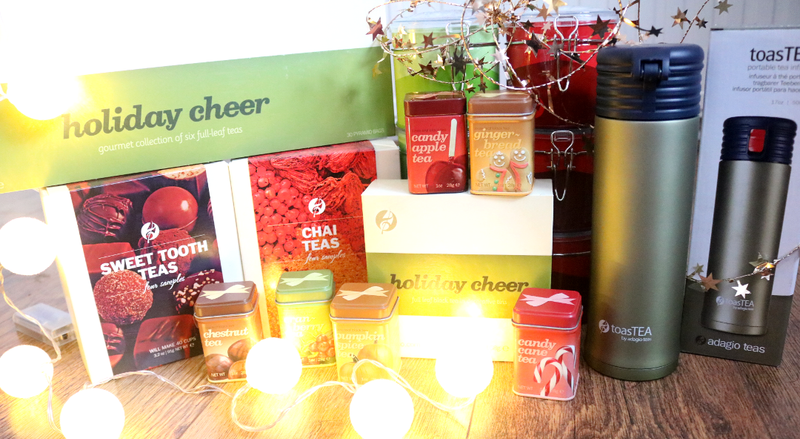 For the chai tea lover in your life, you can't beat this amazing sample set of Chai Teas for something different. The set contains four flavours featuring unique chai blends such as Masala Chai (spicy and bold), Chocolate Chai (rich and sweet), Spiced Apple Chai (sweet and fruity), and Thai Chai (a mix of coconut, lemongrass and masala spices). Like the set above, this one also makes up to 40 cups of tea. As I mentioned earlier, Adagio Teas also stock blends of full-leaf tea which come in pyramid tea bags and this gourmet Holiday Cheer set is a great way to try out their festive blends without the need for an infuser. 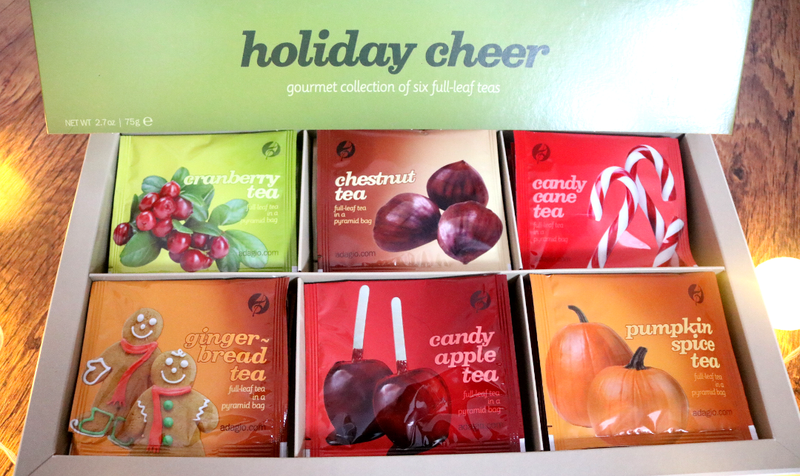 It contains the same flavours as the Holiday Cheer Stocking Stuffers set above (Gingerbread, Candy Apple, Pumpkin Spice, Cranberry, Chestnut and Candy Cane), and you get 30 gourmet pyramid tea bags that are individually wrapped for ultra-convenience (5 of each flavour). 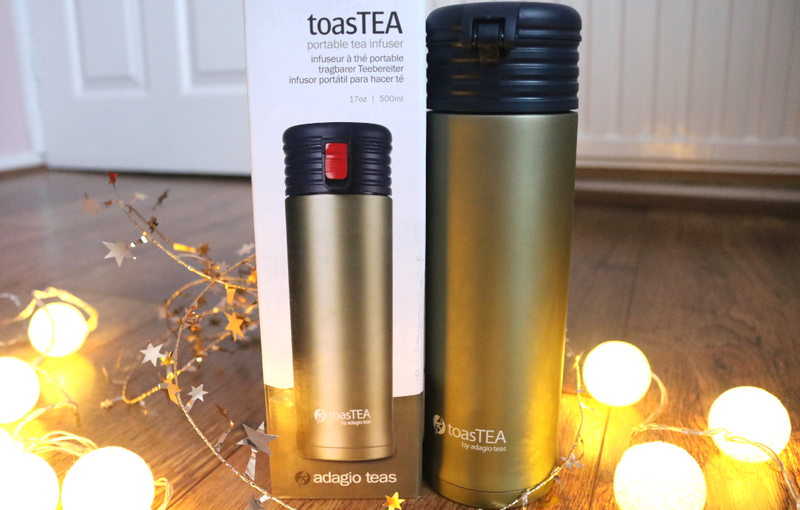 In addition to their tea blends, Adagio Teas sell a range of tea-related accessories and their bestselling toastTEA is a must-have for commuters and eco-friendly people who still want to enjoy their loose-leaf teas on the go. This handy travel infuser is made from stainless steel and will keep your tea hot or cold for several hours. It has an infuser section to perfectly brew your loose leaf tea and can hold up to 500ml. Available in three colours, this is one of those gifts that will be appreciated over and over again! Lastly, I wanted to give a quick mention to Adagio's Storage Tins (£8 for a set of three, link) because they are great quality, keep your loose tea airtight and come in a range of colours. Very handy to have in your kitchen and I love how you can stack them if you're short on space.